These little beauties are so simple to make AND you should be able to make them with what you already have in your home office/stash of office products. Create a template for your petals. Mine was probably about 3/4 of an inch at the widest point and approximately 2 inches long. Cut lots and lots of petals. …and wrap the petal tightly around the toothpick. Now take another petal and a pen and wrap the petal around the pen to give it a gentle curve. The first petal should lay nicely inside the second. Tape them together at the “pointy” end by wrapping tape around both petals. Cut a piece of tape and attach six or so petals to it and space them out as show above. Now wrap the tape and petals around the first two petals. …until you have something like this. Now you’re going to gently bend the petals down. I like to give them a little curve by rubbing them between my fingers a little. …until you have something like this! Voila! A pretty little flower. If you want, you can easily attach the flower to something like a wooden skewer. 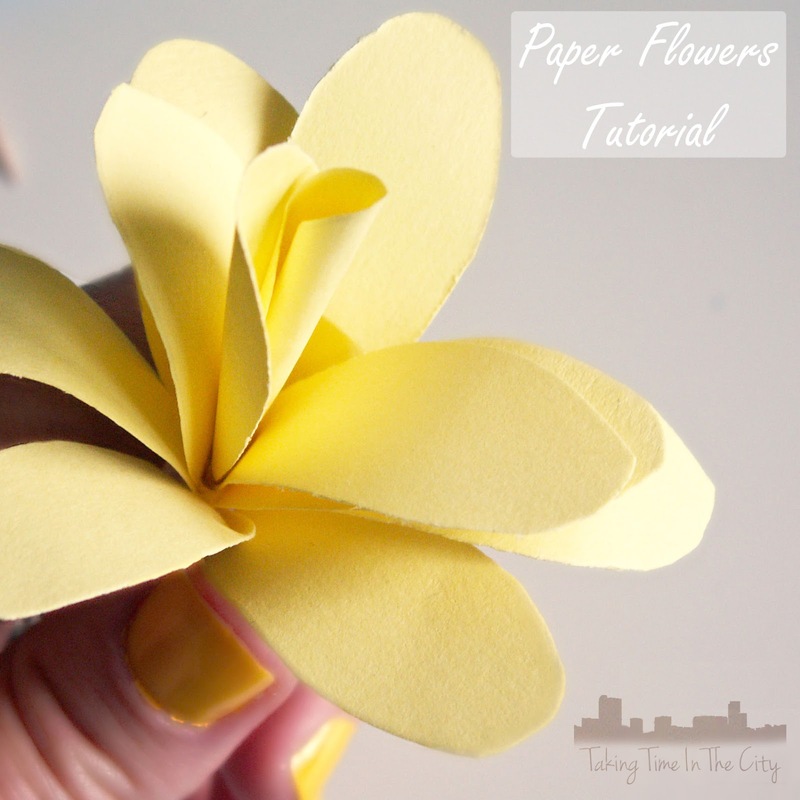 And make a whole bouquet of pretty paper flowers!